Fiscal policies are determined by a government, in order to establish the amount of money it spends and collects in order improve employment and inflation. 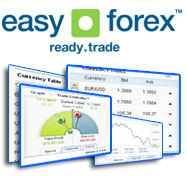 Currency Trading Fiscal policy tries to influence the level of economic activity. This is different to monetary policy, which focuses more on interest rates and money supply. Because the government tries to influence the economy directly, fiscal policy has a significant affect on The major currency trading indicators. Expansionary fiscal policy - which aims to lower taxes and raise government spending, thus encourage more spending and boost the economy. Contractionary fiscal policy - which means an increase in taxes and a slowdown in spending. The theory behind fiscal policy is based on Keynesian Economics where economic productivity is controlled by the government that monitors taxes and public spending. The influence of fiscal policy on the currency trading market is by the normalization of inflation levels and the securing of the currency price. Fiscal policy also influences employment opportunities, another factor in fundamental analysis. When politicians promise the lowering of taxes, it is part of fiscal policy. This way a government can raise the economy activity. Lowering taxes can help induce spending. This helps market demand to rise, and may be a hint for a nearing rise in currency price. When you participate in our online currency trading classes, you must be aware of the previously noted importance of fiscal policies, and interpret government action to investment ideas.